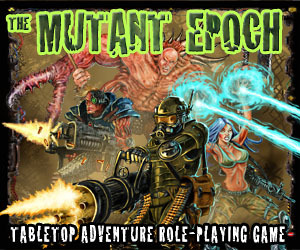 This supplement for Tempora Mutantur covers the Children of the Metal Gods, as well as Sleepers, Clones, and Replicants. Note that this is a referee supplement and is not intended for players. This supplement consists of stolen ideas. The name “Children of the Metal Gods” is swiped without permission from Dominic Covey’s Darwin’s World. Rippers and ROMs are swiped without permission from EarthAD v.2 by Precis Intermedia Games. Some concepts are taken from Logan’s Run and Robert Adam’s Horseclands. Sleepers are adapted from Darwin’s World, Brainscans/peels from GURPS Transhuman Space, and replicants from Blade Runner.